Mention Corning dinnerware, and everyone immediately thinks of Corelle, but Corning has actually marketed several lines differentiated by the materials from which they have been manufactured. 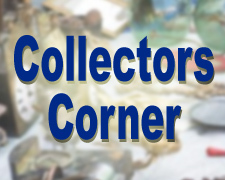 (Read more about Corning Ware in the last Collectors Corner column. The first was Centura. Spurred by the success of their Corning Ware cookware, Corning introduced Centura - also labeled as "Pyroceram Tableware by Corning" for commercial use - in 1962. Centura, however, was not made of the same material as Corning Ware. By the 1960s, Pyroceram had become a more generic term, referring to a group of glass-ceramic materials rather than one particular formula. Centura was more break-resistant than Corning Ware, but it could not be used on the stovetop or in the microwave. Centura was available in a number of patterns and designs, including Blue Cornflower, but its popularity waned with the increasing household dependence on microwave ovens throughout the 1970s. The Centura line was discontinued in 1977, but its Pyroceram material remained in use until 1986 for both restaurant ware and for the manufacture of closed-handle cups, sugars, and creamers for the Corelle product line. Suprema, another glass-ceramic, replaced the Centura formula in 1986. Used primarily for restaurant ware (marked "Corning Pyroceram"/"Corning Pyroceram Tableware") Suprema also took the place of Centura in the manufacture of closed-handle cups, mugs, sugars, and creamers in the Corelle line. Unlike Centura, which was opaque, Suprema's translucency more closely resembled that of Corelle. And Suprema had the added benefit of being microwave safe. Suprema was produced until 1999 when it was replaced by Comcor, the heavier, commercial version of Corelle. Corelle's main line, Livingware, has been produced in hundreds of designs and patterns. Of the original four - Winter Frost White, Spring Blossom Green (aka Crazy Daisy), Snowflake Blue, and Butterfly Gold - only Winter Frost White has remained in continuous production since 1970, and, consequently, has the largest available collection of pieces, from cups and saucers to platters and serving bowls. Hearthstone (2005-2010), the only Corelle line NOT made of Vitrelle. An oversized stoneware collection with contemporary shapes and rich colors, Hearthstone lacked the advantages of regular Corelle. This has kept prices quite affordable, except for those particular patterns or pieces that had abbreviated production runs or that seem to be seeing a resurgence in popularity. The Hearthstone collection in Chili Red seems to be attracting attention at online auctions ($225 for a 32-piece set) as are perennial favorites Butterfly Gold and Spring Blossom Green ($150-$250 for multi-piece sets). As with Corning Ware, it is important to check used pieces for defects and any obvious wear, though gray metal marks can often be buffed out with a special cleaner such as CorningWare Cleaner and Conditioner, but with the proper attention to detail, it should not be too difficult to amass a complete service for very little by trolling yard and estate sales. Corelle - Official website includes current and discontinued patterns, FAQs, more. Corelle Corner - THE go-to site for the collector. Has everything from Pattern Profiles (chronological and alphabetical) to a Glossary, sections on Wear & Tear, Cup & Plate Styles, links, more! How It's Made: Vitrelle Dishware (video) - Fascinating video of the production process. Microwave Cooking for One - Comprehensive site by Marie T. Smith provides pictures and details on just about all Corelle patterns and lines, past and present. And check out the recipes, too!